Our offsite liquor license allows Dr Rum and his team to bring the Rum Bar experience direct to your next event. 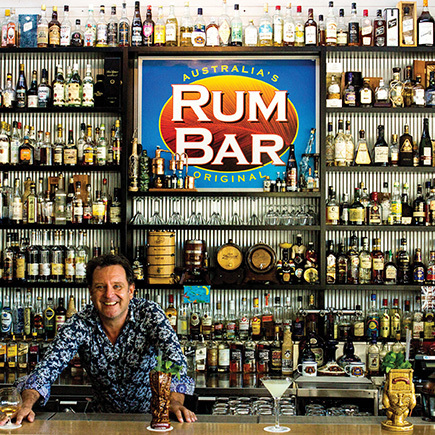 We've catered parties on deserted beaches, mining camps and cane paddocks so contact us to learn how we can integrate the Rum Bar into your next event... while we may be a RUM bar we can provide any type of alcohol that is preferred. Speak to us about your specific requirements and we will happily oblige. We also have the Rum Bar experience, with highly trained cocktail bar tenders, for all your drink needs. Just because it’s called Rum Bar doesn’t mean that’s all we can do. Catering in the Whitsundays. D'vine Catering & Events provide any type of food, any location, any event. The Whitsundays on a plate - catering for weddings, corporate events, private parties, offshore locations and private vessels. We’re the Whitsundays largest and most experienced catering company and service the mainland Whitsunday coast and islands… we’re also very privileged to have a permit to operate functions on the famous Whitehaven Beach. If you have any questions about catering in the Whitsundays, please get it touch!